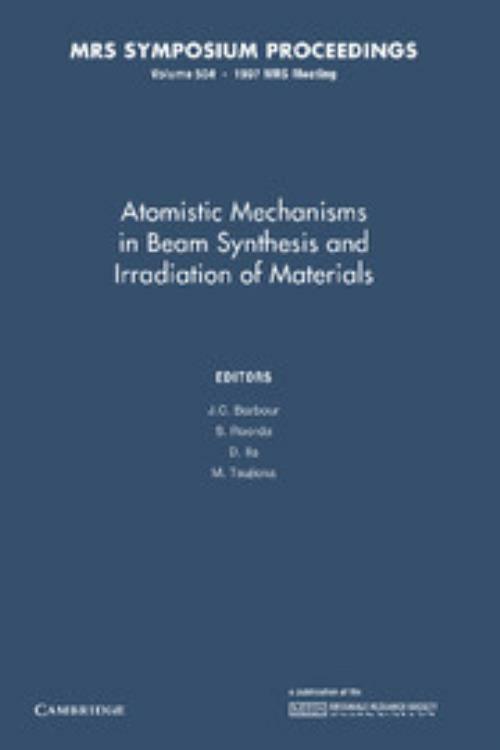 This book, first published in 1999, focuses on understanding the atomistic processes that occur in metals, ceramics (including glasses) and polymers that are exposed to energetic beams for the purpose of synthesizing or modifying a material. In particular, emphasis is given to atomistic approaches for modelling and understanding experimental results. The science presented falls into four categories: (1) surface and thin-film microstructures driven by ion-beam processing, including mechanisms for driving preferential orientation in single-crystal and polycrystalline formations; (2) comparisons and contrasts in the mechanisms involved with high energy, ion-beam radiation and high-fluence-rate effects; (3) identification of mechanisms in beam-assisted synthesis of materials; and (4) atomistic modelling to describe improved mechanical and optical properties of coatings and layers treated with ion beams. Topics include: defects and modelling; irradiation effects in metals and alloys; energetic particle synthesis and mechanical properties; optical materials and nanoclusters; and polymers. D. Ila Alabama Agricultural and Mechanical University.